Accomplished and energetic Deputy Sheriff with a solid history of achievement in Public Safety. Motivated leader with strong organizational and prioritization abilities. Dedicated with 38 years of experience combining with past experience in medical field and customer service expertise in Housing/Rental and owner of Marketing Business. 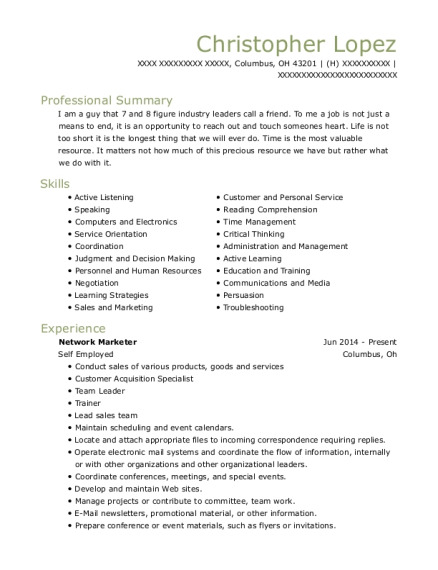 Looking to relocate and expand my experience in management and customer service. Network Marketing Jan 2014－Present Self － Calhoun, Ga Contact in person and phone call solicitation to show individuals how to save and make money. Act as official escorts, such as when leading funeral processions. Contact businesses in person to solicit sales for adds in the Peace Officer Association of Ga. Magazine. Served on a volunteer basis as Vice President and President on the Board of Directors for the Gordon County Family Resource Center. A non-profit organization specializing and helping create awareness within the community by dispersing information and materials about child development, child abuse and neglect, parent education and other relative topics. Within the past 5 years had the honor of receiving several awards. Sheriff's Unit Commendation, Certificate of Commendation, and most of all the Sheriff's Meritorious Service Award for Valor. 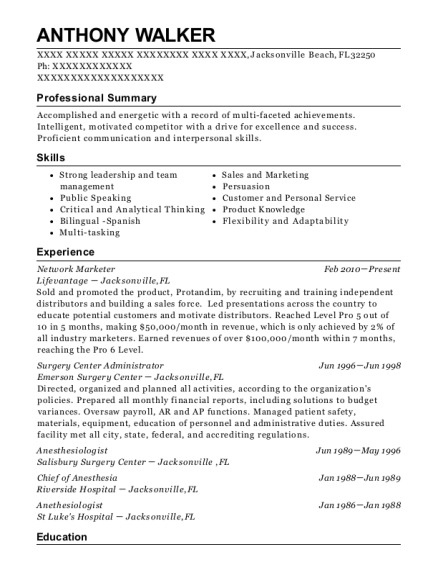 This is a resume for a Network Marketing in Calhoun, Georgia with experience working for such companies as Self and Gordon County Sheriffs Office. 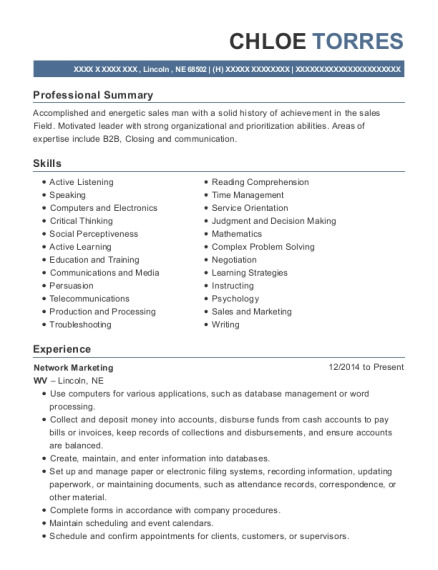 The grade for this resume is 0 and is one of hundreds of Network Marketing resumes available on our site for free. 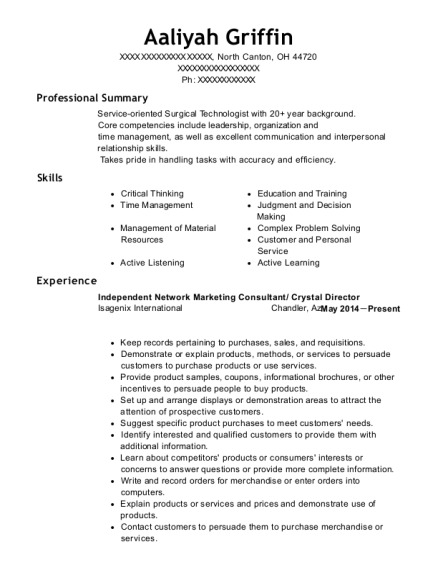 Use these resumes as templates to get help creating the best Network Marketing resume.